Looking forward to this coffee table book! I was fortunate enough to make the list of "inked rogue chefs"
I told you MOM, the ink would pay off someday! 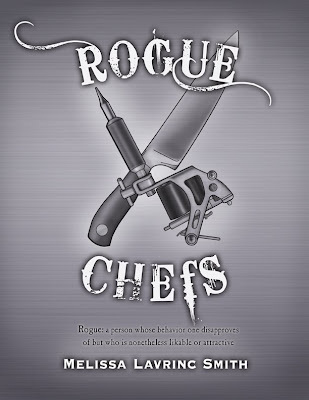 "Inked Rogue Chefs is a coffee table book featuring America's top inked rogue chefs, their personal stories, and recipes from their home kitchens. You get a glimpse of the chefs outside of their restaurant kitchens, past their Food Network persona's, and into their real lives"
Click Here For More Information and to follow the author, Melissa Lavrinc Smith, on her journey through the publishing process.